Want to know what happened to that suitcase the airlines lost at Christmas? Assuming no one lifted it, we bet your bag tag was damaged beyond readability (what with being paper and all), the airline that ended up with it held onto it for ninety days, and then they sold it to someplace like the Unclaimed Baggage Centre. It’s like a thrift store, albeit one stocked entirely with the possessions of frustrated airline customers. We assume it’s Alabama’s biggest attraction. So, how do you prevent that from happening? Well, you’d need some kind of non-paper tag, a unique pin number, and a global system that will allow a Good Samaritan contact you. Fortunately, a system like that exists. It’s called HomingPIN, and it’s about damn time. 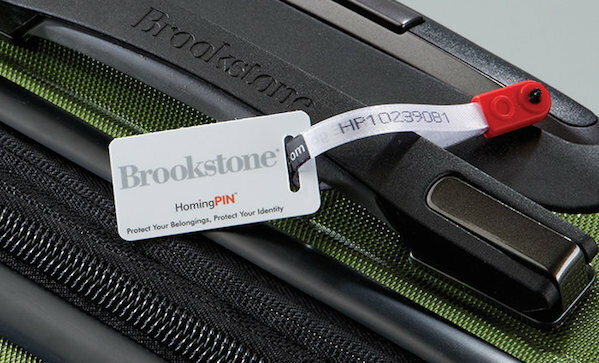 HomingPIN works exactly like we described, but it’s not just for your luggage. They sell luggage tags, keyrings, and adhesive labels. For what, you ask? Oh, passports, laptops, phones . . . whatever you can stick ‘em on, really. They come in packs that start as low as $5. Then you need to register your PIN. As you might expect, there’s a fee associated with the service, but one, it’s annual, two, it’s only $8, and three, you get one free year when you buy a starter pack. And that’s it. If you ever lose an item, someone can track you down by entering the PIN on HomingPIN’s website. And really, $8 is a low cost for piece of mind.